Our edgeboard is made from several plies of paperboard that are glued, treated, and formed into a rigid right angle. 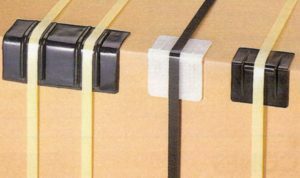 The edge protectors are made of plastic and provide more durable protection. Both are available in various lengths and calipers.